with the goal of promoting travel and tourism to the United States of America. The message of the U.S. being a friendly destination clearly had reached the audience where many happy and smiling faces could be seen. 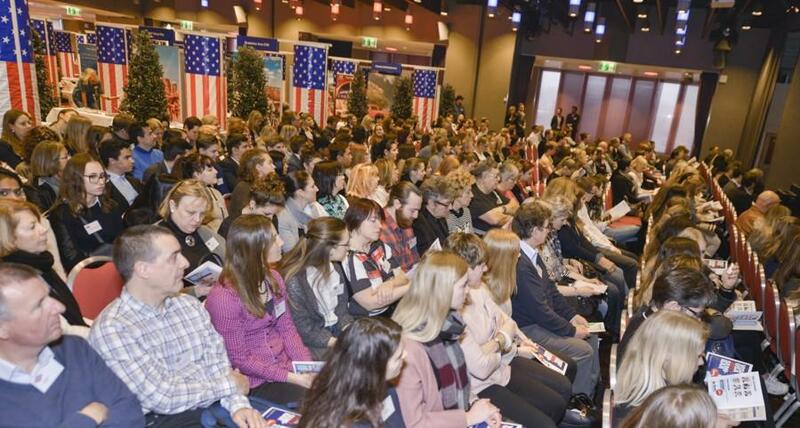 A total of 375 travel professionals attended the Visit USA Seminar 2017 which featured 54 partners and exhibitors. Visitors from the Italian speaking part of the country travelled 2.5 hours by train travel to attend. 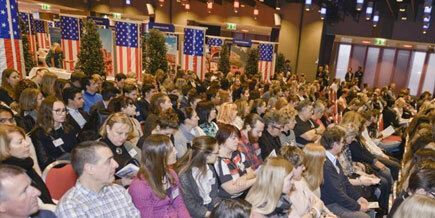 The delegation from Colorado and Denver were applauded for their spectacular presentations and its substance. Even seasoned travel professionals got so motivated that they spontaneously started discussing and planning a next trip. The value of the seminar for the trade shows in the fact that three major TO's are now using the event as the "educational and training day " for the USA. Staff members are expected to produce a short report of what they learnt . Results of the on-line "USA Knowledge Test" before the seminar and the "performance" at the event per se were used to select a group of ten for a one week follw-up fam-trip to Denver and Colorado.